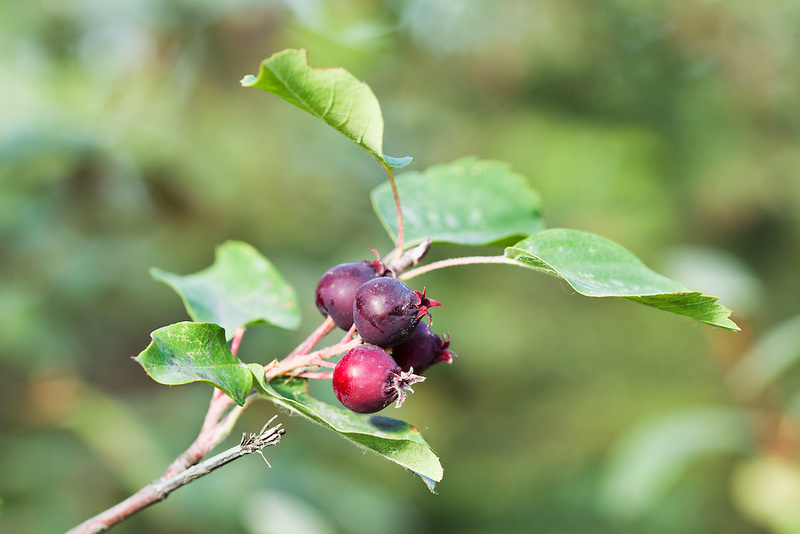 Closeup of fruit of Pacific Serviceberry (Amelanchier florida) wild berry at Eklutna Lake in Chugach State Park in Southcentral Alaska. Summer. Morning.